Bollywood’s ace director Sanjay Leela Bhansali has been all over the news for his upcoming movies. The filmmaker has been in news for reuniting with Salman Khan for his next movie which will also star Alia Bhatt in the lead role. He is in buzz for making an announcement of collaboration with Priyanka Chopra for his upcoming movie ‘Gangubai’. Sanjay Leela Bhansali confirmed that he is in talks with PeeCee for his next movie. He reportedly said that she really liked the story of the movie titled ‘Gangubai’. He said that PeeCee and he are currently in talks for the film. 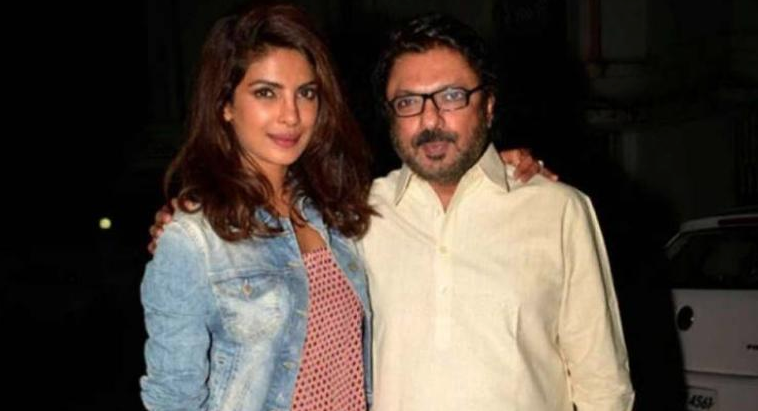 Priyanka was last seen in SLB ‘Bajirao Mastani’. She will now be seen in Shonali Bose’s ‘The Sky Is Pink’ which also stars Farhan Akhtar and Zaira Wasim.